Shanghai jianye vibrating feeder is disposed in frong of primary breaker, at the same time it will continuously convey big block of material, remove off the dirt and impurity.To control the feeding quantity and subsequent breaking ,match the processing capacity of screening production line, and make the series to be necessary equipment for ensuring the quality and quantity in breaking and screening production line. 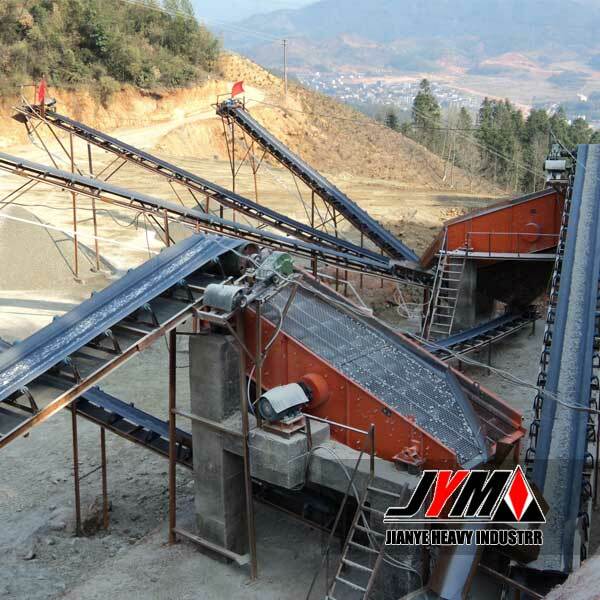 Vibrating Feeder can continuously and evenly send materials to crusher and roughly screen them. It matches crushing and screening machines in many areas such as metallurgical industry, coal mining, mining-selecting, building, chemical and grinding industry, etc. Through drive of the motor, the two eccentric shafts start rotating to produce a linear huge power which forces the feeder to vibrate. 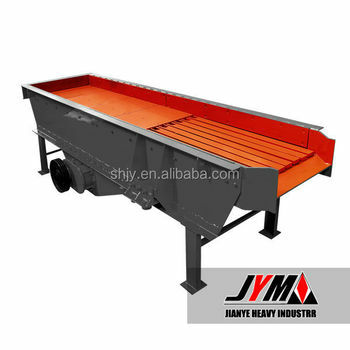 Through the vibration, The materials will slip and sling on the funnel, moving forward, when the materials pass the screening part, smaller parts will fall down, avoiding the further crushing, so screening purpose of vibrating feeder can be reached.